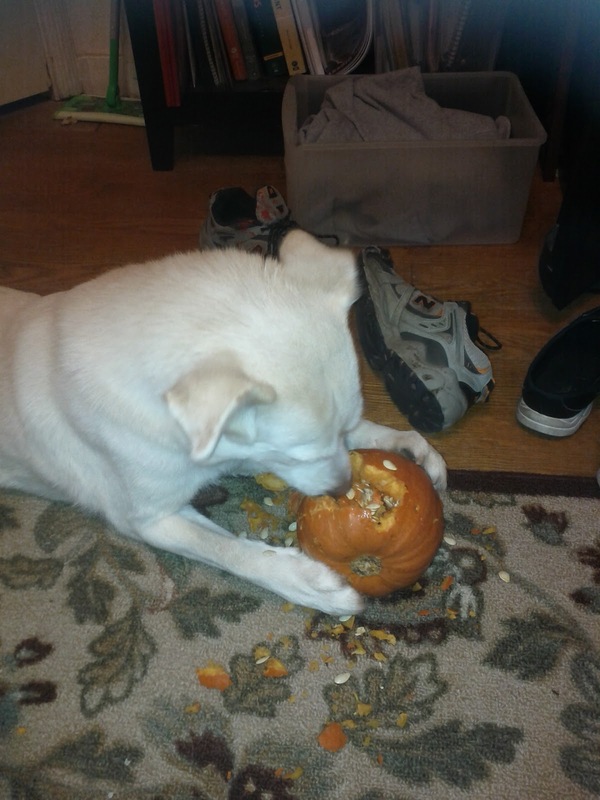 Around here, we don't always get into the dress up part of Halloween, but we sure do enjoy a good chicken stuffed pumpkin for a a treat. 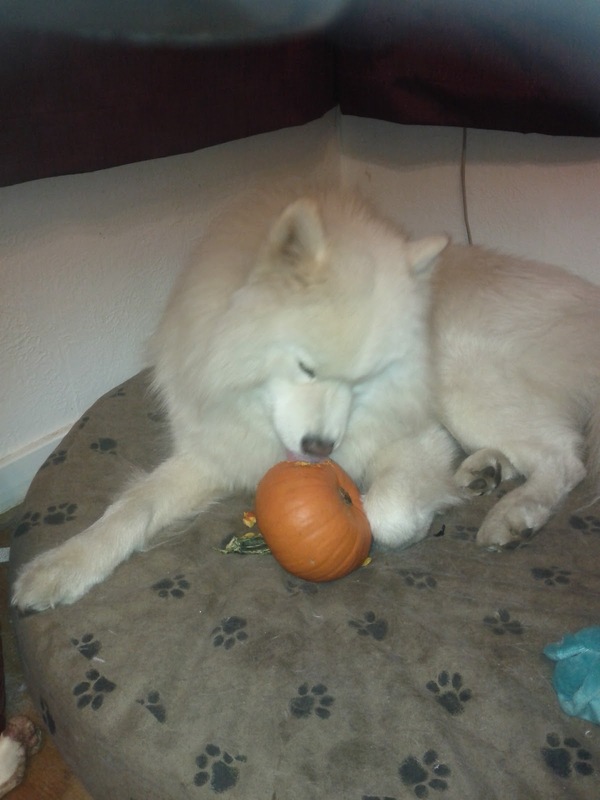 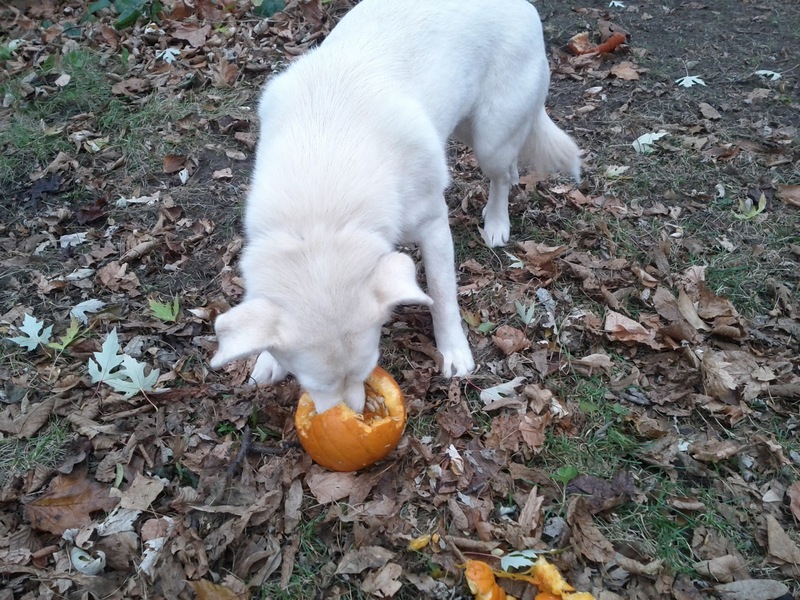 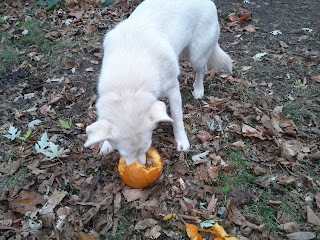 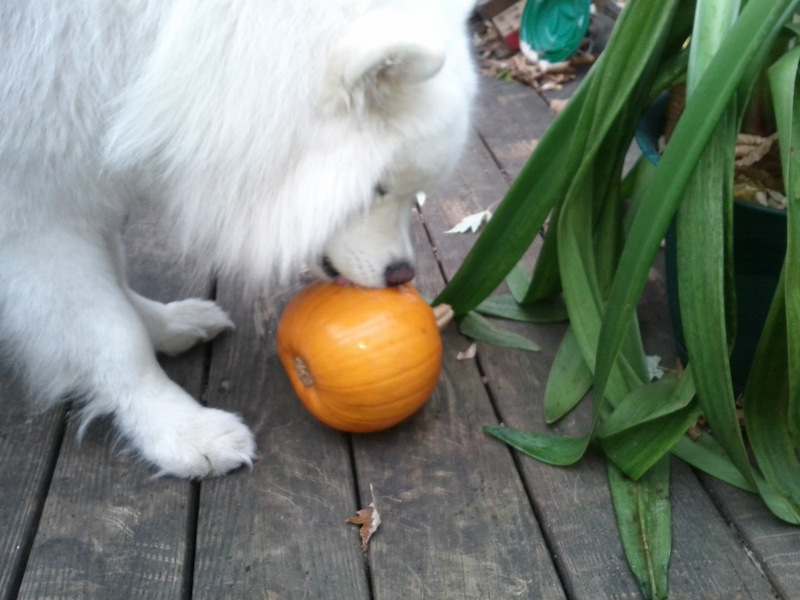 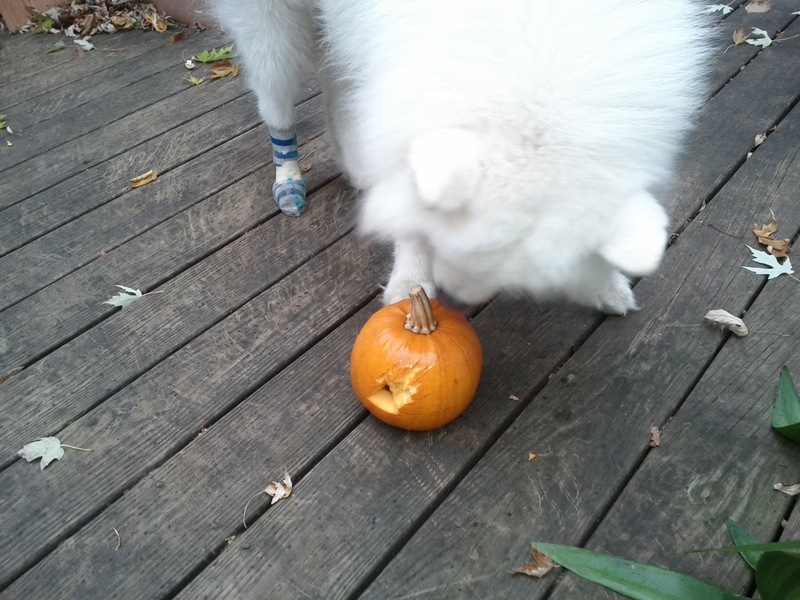 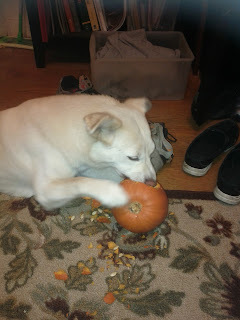 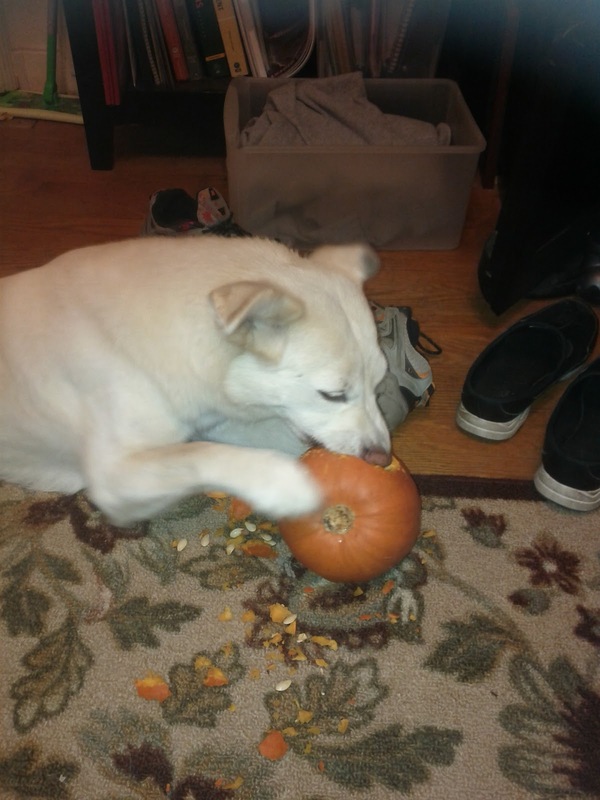 Lilly makes quick work of her pumpkins. 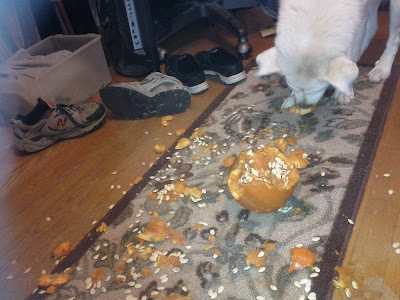 The girl does not joke around when there's food involved. 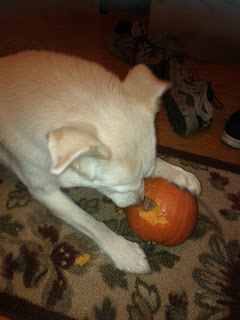 Mendel is a little more... dainty. 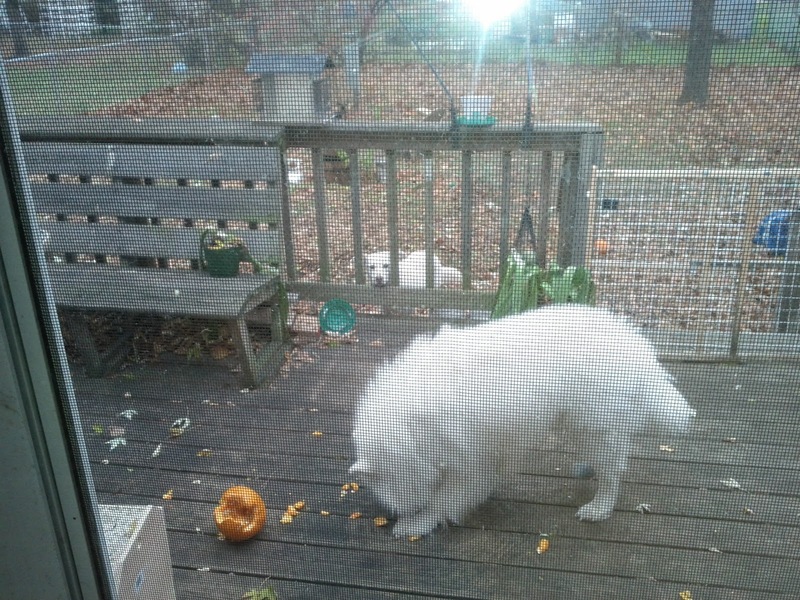 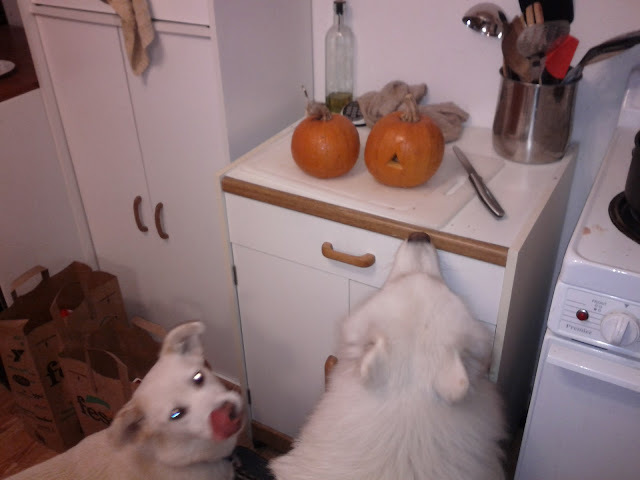 The next time we got pumpkins, later that week, waiting patiently for their goodies. This time I got smart and we did pumpins outside.